I had some leftover chicken curry from dinner and some frozen unsauced pasta, so today's lunches are a Leftover Remake: curry pasta. 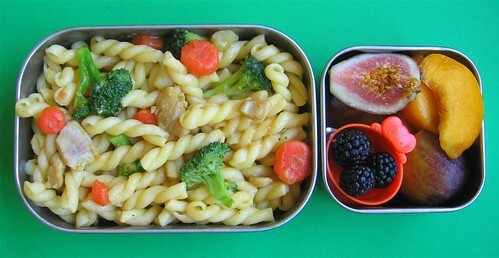 Contents of my lunch: Japanese curry pasta (gemelli) with chicken, carrots, onions, potatoes and added broccoli. The fruit layer has fresh figs, half an apricot, blackberries and mango nectarine. The mango nectarine is a pale nectarine reminiscent of both mango and nectarine in flavor and texture -- delicious although delicate and easily bruised. I packed mango nectarines in last summer and liked the flavor, so when I saw them again this year I picked some up. Good thing, as evidently their season is very short (just two to three weeks in the summer). Morning prep time: 6 minutes, using frozen unsauced pasta and leftover curry. I quickly cooked some broccoli florets in my microwave mini steamer for one minute, and added them to the leftover curry and frozen pasta that I microwaved to revive the texture before packing. Sliced some fruit and we're ready to go. 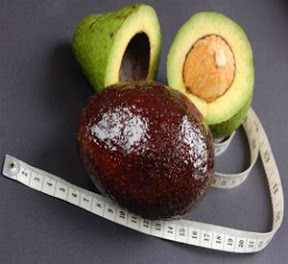 Packing: Much of the fruit here is very delicate and ill-suited to rough treatment or tight packing (see gap fillers). As blackberries are especially fragile, I put them in a reusable plastic food cup to ensure they didn't turn into mush in transit. I like these little cups as they're reusable like silicone cupcake liners, but sturdy enough to actually protect the food inside from damage. I bought some of these at Daiso, others from eBay (click the photo for details). I did forget to reserve some extra curry sauce to pack on the side, though, so unfortunately the pasta was a big dry by the time we ate it (live and learn). The lunch was packed in my 580ml Urara dragonfly box. 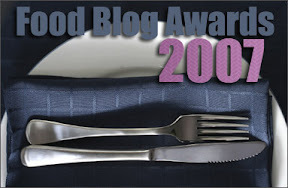 I packed my husband's meal in stainless steel containers (review here) for a masculine touch. 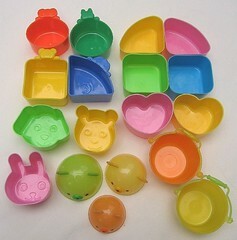 My two-year-old's meal was lightly packed into a 600ml two-tier box with built-in food cup. The meal would have been too big for him according to the bento box size guidelines, but he decided he didn't like this shape of pasta (go figure!) and just ate the meat and veggies out of the curry pasta. The curry was a big hit with him at dinner (Curry no Ohji-sama from S&B -- a Japanese curry roux for kids), just not this particular pasta. Oh well! 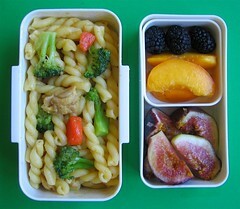 This Post was written by Biggie from Lunch in a Box: Building a Better Bento. A great way to use up leftover pasta. 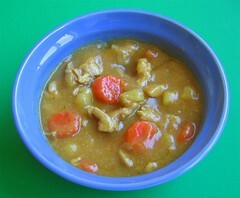 I especially like the Asian touch with the curry. 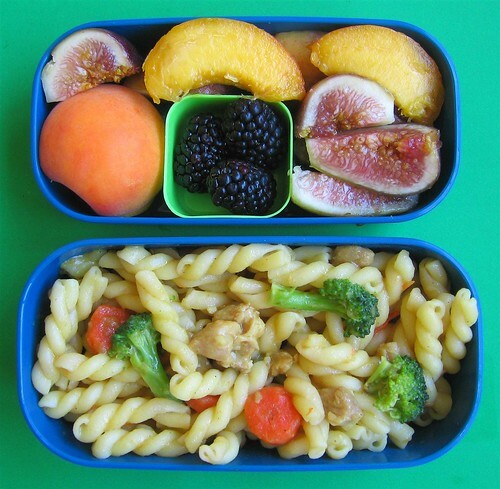 I find pasta always makes a great leftover for the lunch box.